we do not recommend the Nano ‘XE’. India being a tropical country, almost all its regions suffer from heat and humidity, some more than the others. The urban areas also suffer from dust and pollution all of which can be mitigated if you have an Air Conditioned cabin. In case of the steering, tight parking spaces and novice drivers, both are found in abundance in our country. As we saw 650 Rs. per month is all it takes to have these two indispensable creature comforts in your car. Therefore, we have excluded all cars without AC & PS from our list. So the Nano ‘XM’ costs 9650 Rs. per month, which is just 750 Rs. or 7% less than the Alto 800 'LXi' costing 10,400 Rs. per month (EMI 5600 + Petrol 4800), which is a comprehensively better vehicle than the Nano GenX in terms of reliability, resale value, boot-space, refinement, drivability and more as detailed in our Alto 800 vs Nano GenX Comparison. That's why we do not recommend it. In fact, the Alto 800 'LXi' CNG is cheaper than the Nano GenX 'XM'! How? Well, it has an EMI of 6700 Rs. requires only 2000 Rs. worth of CNG every month, plus around 650 Rs. worth of Petrol, bringing the total to 9350 Rs. per month. That is actually 300 Rs. or around 3% lower than the Nano ‘XM’. Used i10s, WagonRs, Santros and Altos make way more sense as a first car compared to a Nano. Firstly because they cost less. Consider the case of an Alto. A well, maintained, 40,000 km specimen can easily be acquired for 1.5 Lakh Rs. Considering a 4% higher interest rate than Nano for calculations, its monthly cost is 8200 Rs. (EMI = 3000 + Petrol = 5200). And yet when you decide to sell that used Alto after a further 5 to 7 years of usage, it will still fetch more than the Nano ‘XM’ in the used car market. Secondly, even a used Alto remains a more practical, reliable, refined, drivable and dynamically superior vehicle than the Nano GenX, further detailed in our Nano vs Used Alto Comparison. 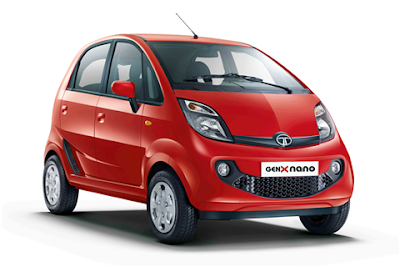 The Nano emax ‘XM’ CNG, requires only 2000 Rs. worth of CNG every month, plus around 650 Rs. worth of Petrol every month. Adding this to the EMI of 5100 Rs. it bring the Monthly Cost to 7750 Rs. which is 1600 Rs. or about 17% lower than the Alto 800 ‘LXi’ CNG. 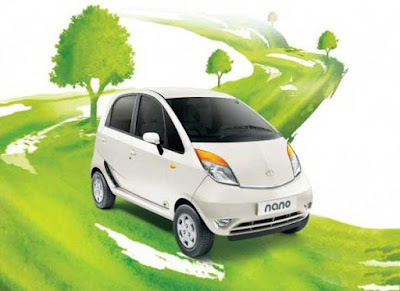 But then Nano emax CNG misses out on one of the most crucial features i.e. Power Steering compared to the Alto LXi CNG. Plus it lacks an open-able tailgate, doesn’t have the reliability or the drivability of the Alto CNG and a tiny CNG tank due to which we do not recommend the Nano GenX 'XM'. It has a monthly cost of 10,000 Rs. (EMI 5000 + Petrol 5000), which puts it tantalizingly close to options like the Alto 800 ‘LXi’ at 10,400 (EMI 5600 + Petrol 4800), Datsun Redi Go ‘T’ at 10,400 (EMI 5650 + Petrol 4750) & Kwid ‘RXL’ at 10,750 (EMI 6000 + Petrol 4750). They have lesser features but far better technical fundamentals than the Nano GenX ‘XT’ as detailed in our Nano GenX vs Alto 800, Nano GenX vs Redi-Go and Nano GenX vs Kwid Comparisons. That is why we do not recommend it. The Nano GenX ‘XMA’ is the cheapest automatic car in India, it requires a monthly outlay of 10,800 Rs. (EMI 5400 + Petrol 5400). That is just 1550 Rs. or 13% cheaper than the Alto K10 ‘VXi’ AMT costing 12,350 (EMI 7400 + Petrol 4950) and 1950 Rs. or 15% cheaper than Kwid 1.0 RXT AMT costing 12,750 Rs. (EMI 7800 + Petrol 4950). Apart from the price difference though, the Nano GenX ‘XMA’ has lesser features as well as lesser resale value. However, the most critical safety consideration is that, it is the most susceptible, to rolling back on an incline, compared to the Alto K10 & Kwid automatics, as detailed in our Nano GenX vs Alto K10 & Nano GenX vs Kwid Comparisons. This roll-back makes it unsuitable for all novice drivers and a single roll-back into the preceding car on a steep flyover can end up costing way more than the cost difference between the monthly cost of a Nano AMT and an Alto K10 AMT or Kwid AMT. That is why we do not recommend it. It costs 11,400 Rs. per month (EMI 5800 + Petrol 5400) it is hardly any cheaper to own compared to the Alto K10 ‘VXi’ AMT costing 12,350 (EMI 7400 + Petrol 4950) and Kwid 1.0 RXT AMT costing 12,750 Rs. (EMI 7800 + Petrol 4950). Even the Nano GenX ‘XTA’ has lesser features, lower resale value and most importantly, it is far too susceptible to rolling back on an incline, compared to the Alto K10 & Kwid automatics, as detailed in our Nano GenX vs Alto K10 & Nano GenX vs Kwid Comparisons and therefore isn’t recommended by us, as even a single accident due to roll back on an incline can cost way more, than the difference between the monthly costs, of a Nano 'XTA' and Kwid or Alto K10 automatics.